With chillies it is either a feast or a famine. When growing your own they all seem to grow at once and you have loads, then the season is over and you have none. To overcome this, preserving them is the only way. Many people dry them but I prefer to keep them in vinegar. 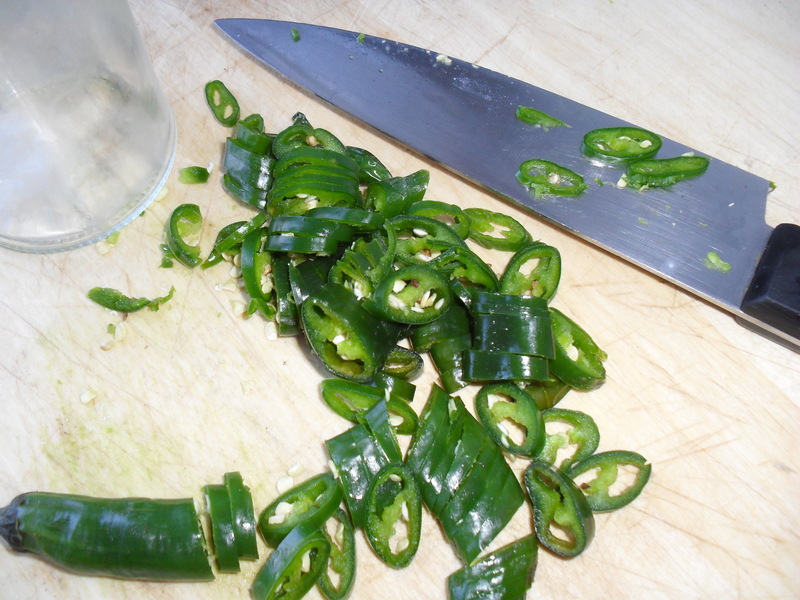 Very simply chop the chillies, seeds as well, discard the tops into the compost bin, and fill small jars. Then top up with hot (boiled and starting to cool) vinegar. I like to use a good organic white balsamic, then I can use the chilli vinegar in dressing later. Lid and store the jars in a cool and dark place, like the pantry or cupboard in the garage.